Make soaking up fresh air and sunshine your new hobby. Alys Beach is known for its secluded and relaxing beach lifestyle in a neighborhood with crisp white homes against bright blue skies and pleasantly active living. This exclusive community is the perfect place to put your toes in the sand and enjoy the Emerald Coast. Wake up in the morning and take in the waves and sun with your breakfast! Explore the town on foot drinking in the culture filled with live music, wine tastings, culinary arts, and plenty of innovative green spaces. This artful town enjoys a rich appreciation for the outdoors. Such unique scenery immediately draws the lover of art and nature. Fonville Press – Wine Bar & Coffee Shop hosts weekly wine tastings. Alys Shoppe Caliza Runway Show happens annually. Digital Graffiti is an event to blow your mind! View projection images splattered across the local architecture. Surfing Events are often conducted in the area. 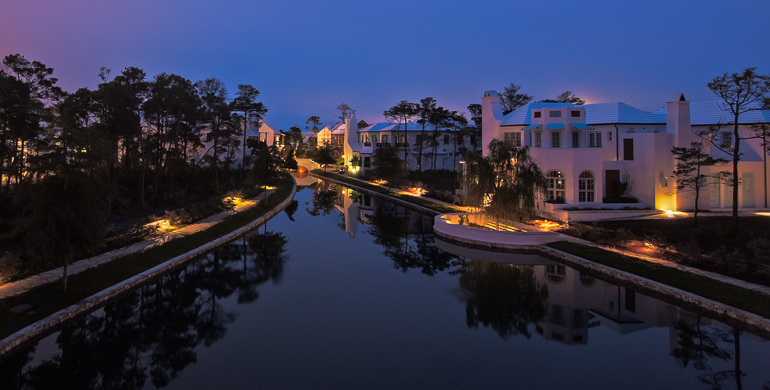 The white washed estates in Alys Beach are built to perfectly showcase the gorgeous Emerald Coast water. The entire community is designed for all residents to have a pleasant walk to the beach if they are not already living on it. 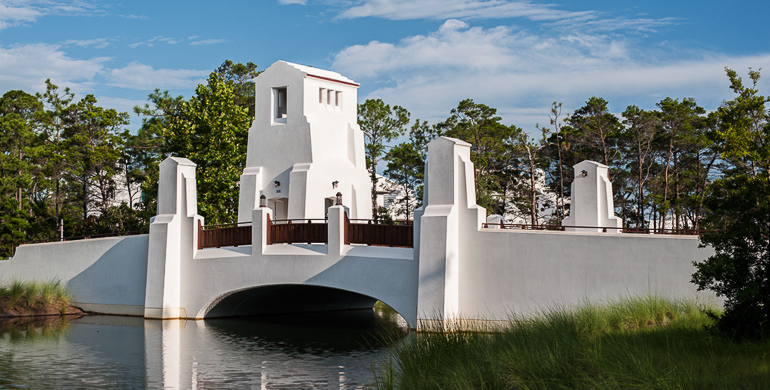 Homes in Alys Beach are both classic and contemporary creating the perfect combination of class and comfort. Styles of homes range from courtyard to compounds and villas to name a few. They are perfect for harboring sandy feet and ushering in house guests for a dinner party under the stars. These homes are custom built to accommodate your preferences all the while maintaining an overall coherence throughout the community. The Nature Trail. Take part in true Floridian landscapes on these extensive trails. The Gulf of Mexico. Enjoy the waters any way you like with clean beachfronts and spirited neighbors. Lake Marilyn. Take a walking tour and view the town’s water source turned into architectural design. Waters are directed to flourishing local parks throughout the area. 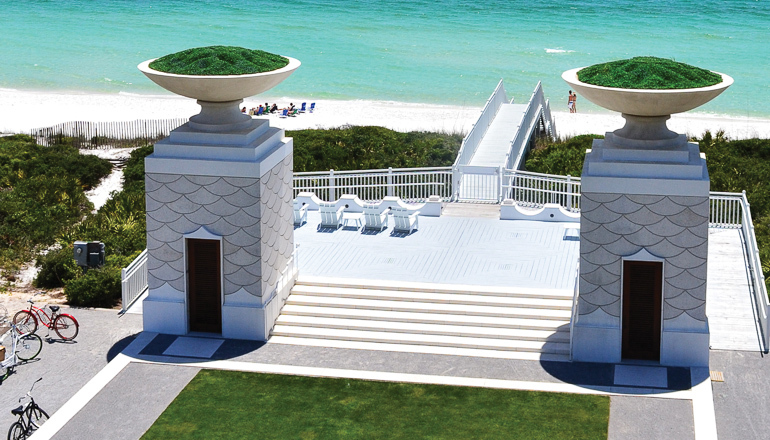 Recognized as the Perfect Beach Town by Southern Living, Alys Beach is truly one of a kind. If you are looking for private luxury along the Gulf of Mexico, then Alys Beach is the place to buy or build. These high end beach retreats allow you to relax in a 138 acre community equipped with everything you need to make your days at the beach both private and perfect.